Aaron Hancock is a shareholder in the General Liability and Civil Litigation, Construction Litigation, and Appellate departments of Bishop | Barry. Mr. Hancock’s litigation practice emphasizes representation of corporations and their employees in both insured and non-insured claims. He has specific expertise in the fields of construction law and coverage, transportation law and coverage, Uniform Commercial Code, and accounting fraud. 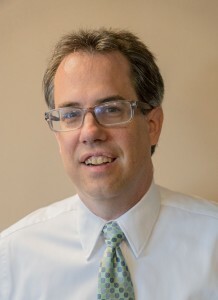 Mr. Hancock represents primarily defendants in tort cases and represents both plaintiffs and defendants in commercial cases. Mr. Hancock possesses extensive jury trial experience in both Southern and Northern California courts and continues to maintain an active trial practice. Commercial cases tried to verdict have involved such diverse subjects as breach of a profit-sharing agreement, a dispute over the quality of service provided by a uniform company, and failure to authorize change orders during construction of a multi-unit condominium complex. Mr. Hancock has also tried to verdict numerous tort claims arising out of motor vehicle accidents, slip and falls on private and public property, and construction defects. Before joining Bishop | Barry, Mr. Hancock maintained similar practices at law firms in Contra Costa and Riverside counties. Mr. Hancock’s practice in Riverside concentrated on the defense of public entities and employees in suits brought under the California Tort Claims Act and 42 U.S.C. Section 1983. He is a recipient of a double B.A. in English and History from the University of California at Berkeley and a J.D. from the University of California at Davis. Mr. Hancock is admitted to practice in California (active) and Nevada (inactive) as well as the United States District Court for the Central, Eastern, Southern, and Northern Districts of California, the Ninth Circuit Court of Appeals, and the United States Supreme Court. Luers v Smith, 941 F. Supp. 105 (C.D. Cal. 1996); Farmers Insurance Exchange v Hurley, 76 Cal. App. 4th 797, 90 Cal. Rptr. 2d 697 (1999), Nuno v County of San Bernardino, 58 F. Supp. 2d 1127 (C.D. Cal. 1999); and Great Western Drywall, Inc. v Roel Construction Co., Inc., 166 Cal. App. 4th 761, 83 Cal. Rptr. 3d (2008).